Home / Celebrities Gist / Check out This Yemi Alade's Afro Look! 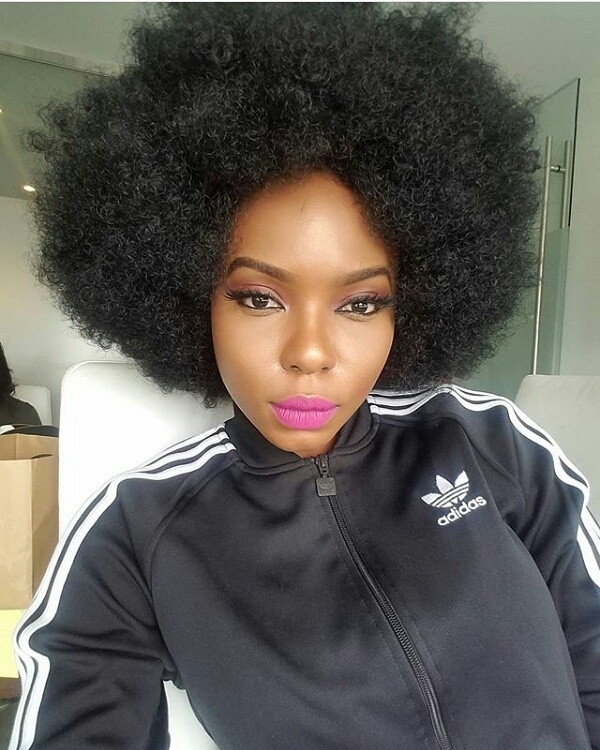 Check out This Yemi Alade's Afro Look! The beautiful afropop singer/songwriter, Yemi Alade flaunted this cute photo of her awesome Afro hairstyle few seconds ago on her IG page with a hilarious caption. No be knack Akpako again o. Lol!